LG Air Drive Latest version Is a freeware app and officially designed by LG. By Using LG Air Drive download Download on your PC you can access and updated LG-Branded phones and tablets. The Air Drive (LG AIR DRIVE) also helps you to connect your phone to your PC wireless and you don`t need any USB cable to connect your phone. You can manage you all phone data on your computer using this software setup you can easily cut, copy or delete your phone's data directly on your PC. It helps you to connect your phone directly to the PC. First of all just download the software from our site and download it on your PC. After successfully installing Lg Air Drive on your computer just connect your phone to your computer. On your PC open LG Air Drive and click on this icon which is on your taskbar. Once you click on this icon the following page will be displayed and just give your login details here and log in to your account. After log on to your account tap on Apps > Settings > Networks tab > Share & connect > LG Bridge. Checkmark LG Bridge to enable. Log in to your software using the same account which is used on your computer. Note: Checkmark Use mobile data to enable LG AirDrive connections over your cellular connection, data charges may apply. On your PC open LG Bridge than select the LG Air Drive Icon . Select your device from the list below. Use your file explorer on your computer and you can find your mobile here. Drag and drop files to and from your mobile device as you would any other drive on your computer. If you copy any file to the Air Drive folder so the file will be automatically copied to your phone and by using this method you can share any data between your phone and your windows and you don`t need to connect your phone with the pc using any Cable. You can easily take a backup of your phone data using LG Air Drive. You can download this amazing and useful software from the given download link below the link is from its official site server so just feel free and click on the given download link to download LG Air Drive. 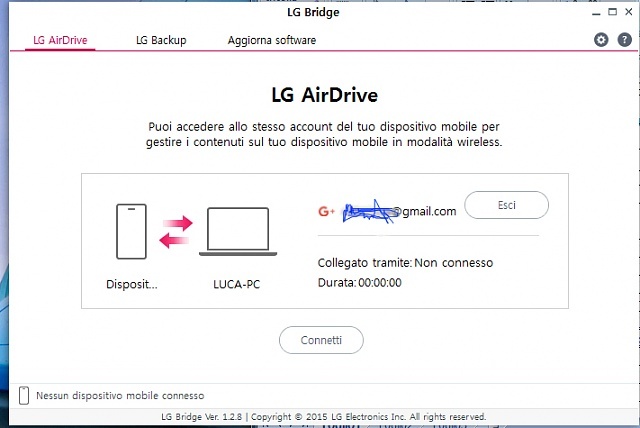 Note: That the LG Air Drive is not a software it is just a method and to complete this method you need another software name as LG Bridge so you can download it from the given download link below. 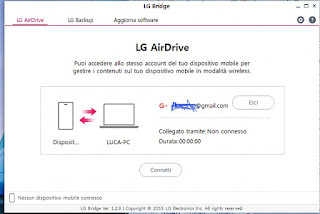 All the Air Drive method is provided on the bottom of this post you can easily use this Software and the method to complete Lg Air drive on your phone. 0 Response to "LG Air Drive V1.2 Latest Version Free For Windows"